​The partnership between SafeGrowth® and LISC's Community Safety Initiative has allowed for the design of a comprehensive program model for professionals in community development, urban planning and design, law enforcement and crime prevention. It draws on the best-practices of six years of MetLife Foundation Award winners to inform future planning for comprehensive community safety programs. ​This paper describes 1st and 2nd Generation CPTED principles and outlines how the principles should be considered as part of a 6-phase planning and problem-solving process to improve public safety. ​Click on the logo to read more about LISC's CSI. 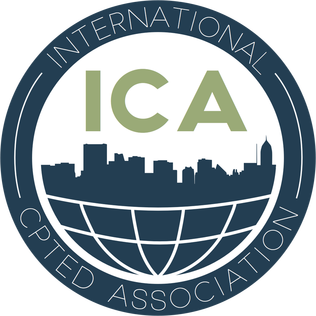 ​The International CPTED Association (ICA) supports local organizations, practitioners and communities that utilize CPTED principles to create safer communities and environments. ​The California office of AARP recently joined the SafeGrowth® movement by hosting the first 2016 SafeGrowth Summit and Search Conference. Delegates from across the state, and from other states, spent 3 days developing visions for implementing SafeGrowth in their communities. Click on the logo to read more about the AARP. The objective of The Crime Prevention Website is to provide a free crime prevention advice about home security to all members of society. ​SafeGrowth was recently awarded a top referencing website medal by the UK Crime Prevention Website for placing in the top 15% of hundreds of prevention websites around the world. ​Click on the logo to learn more about The Crime Prevention Website.